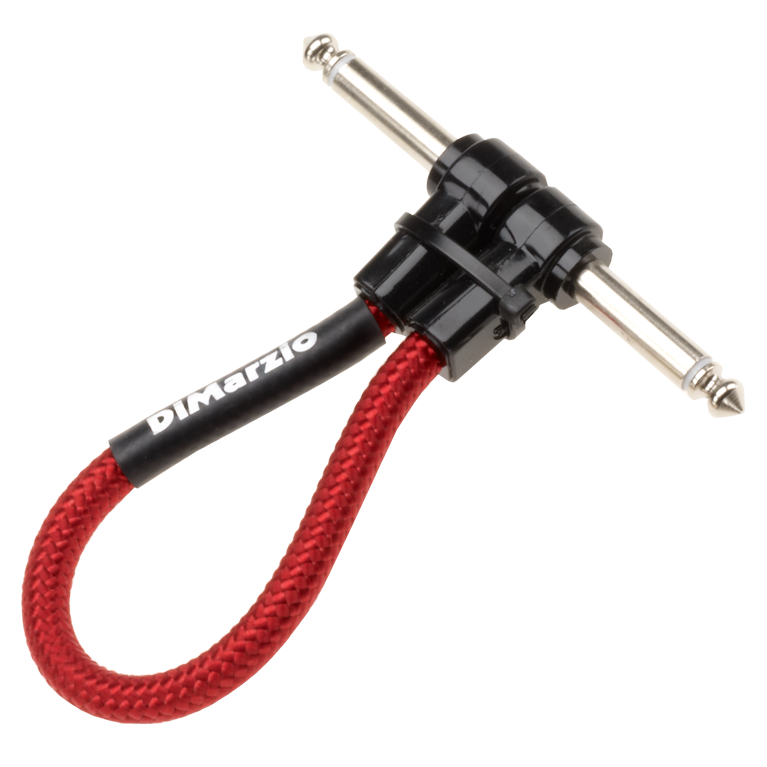 Recognizing the need for a short "jumper" version of our famous guitar cables, DiMarzio® now offers professional grade cables in 6", 12", 18" and 36". We use the same U.S.-made nylon overbraid cable as in our standard guitar cables, delivering maximum signal transmission and minimum high-frequency loss. Right-angle Switchcraft ends are encapsulated in a super-tough thermoplastic resin that permanently bonds the plug to the cable, making our jumpers so rugged and durable that they carry a lifetime warranty. Our 6, 12 and 18-inch jumpers have right-angle ends. Our 36-inch jumper has one right-angle and one straight end. *Color choices Black/Gray, Vintage Tweed, and Neon are only available in 6- and 12-inch lengths.